Now you can order a variety of lassi and drink them in true traditional fashion – in a kulhad – thanks to Jaipurya – The Desi Gourmet. Come rain or shine, there’s nothing more refreshing than a glass of lassi is there? What’s even better is that you can now order 15 flavours of lassi that’s made from locally-sourced milk and is preservative-free. They even make the curd at home! 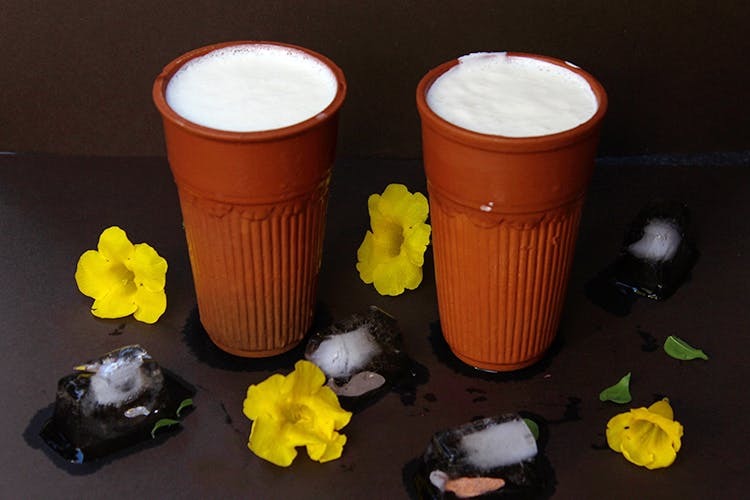 So, if you’ve been craving authentic Rajasthani lassi with a twist check this out. Chocoholics you might want to try their inviting combination of flavours in their Nutella Lassi or Caramel Lassi and if you like some fruity freshness added to your cold kulhad (traditional terracotta cups) there’s the citrusy Pineapple Lassi, Pomegranate Lassi and the most popular, a crowd favourite, the Blueberry Lassi. Refuse to budge and want to stick to your traditional flavours? Sip on the more conventional Malai Lassi (for INR 70), the Kesar Elaichi Lassi for a spicy kick or the yummilicious-sounding Gulkhand Lassi with a tinge of rose essence. Jaipurya – The Desi Gourmet operated out of a home in Egmore where one could either drop by or get your cold lassi delivered through apps like Swiggy or Genie. They have now opened their shop in Egmore where you can drink up on Malai Lassi and the more flavourful Kesar Lassi, Gulkhand Lassi, and Pineapple Lassi. The kulhads come in sizes of 200ml and 300ml (the 200ml kulhad is used for party orders – yes they do party orders too!). It takes them about 20 minutes to prepare your order, so don’t worry about the wait. A nice kulhad of cool, delicious Lassi awaits you. Oh and that’s not all. They even do a different version of fruit creams and Sandesh which is a traditional milk-based Bengali sweet. Take your pick!